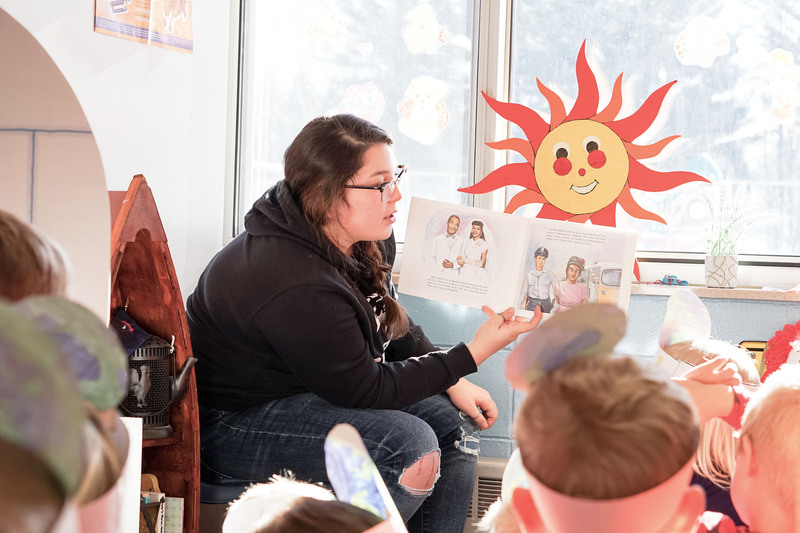 Emily Nguyen reads to local students on Martin Luther King Jr. Day of Service. Nguyen is a Fall 2018 Dean’s List student. Finlandia University is proud to announce its Fall 2018 semester Dean’s and Honors List Students. In total 129 students earned honors, including 85 who earned Dean’s List honors for having a Grade Point Average of 3.75 or above. To be eligible for either list students must have completed 12 or more credits and had no grade below a “C.” Dean’s List students earned a GPA of 3.75 or above, while Honors List students had a GPA between 3.50 and 3.749. Semester academic honors are not granted to students with an incomplete (“I”) or incomplete in progress (“IP”) grade on their transcript that semester. The full list of students, their GPA, and their hometown is available below.